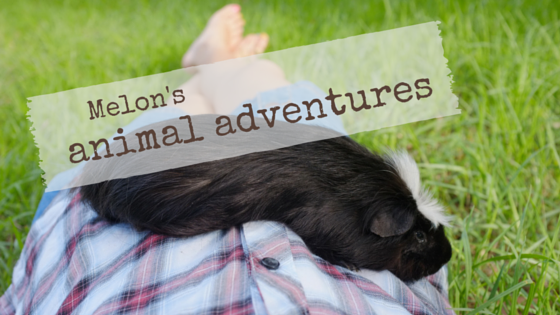 Melon's Animal Adventures: Gatsby is here! Since I’ve been MIA recently, you’ve probably guessed that the time has come… Gatsby is here! As in, living with me, 24/7, for the next few weeks. So far it’s pretty much been a holiday for her, and I’m hoping to keep it this way. I’ll be busy for sure, but I’ll be posting a few book reviews, and a couple short updates on our adventures. She LOVES my yard – it's her paradise. She doesn't have lawn at home, so she especially loves grass, and for a dog so people-focused, I don’t think she would've coped at all without the very enticing yard full of smells and sounds. I’ve totally let the yard go, so it’s got plenty of fun stuff for her. 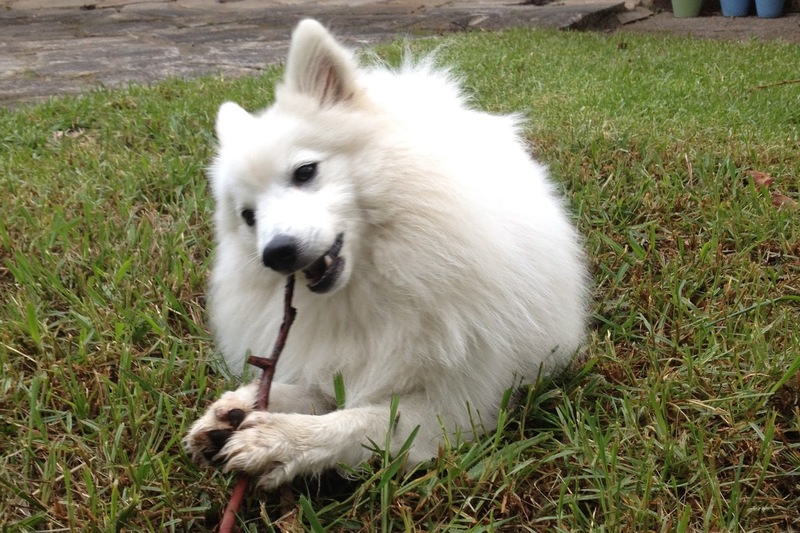 She runs around, leaping and chasing invisible objects, digging holes and chewing on sticks. She even has her own sanctioned digging spot, guarded diligently by Mr Froggy. Sometimes she even finds treasure there! She's gorgeous! I love the name. Some family of mine have a boxer mix with the name. Thanks for stopping by, Rebekah! I think Gatsby would be an incredibly handsome name for a male dog like a boxer - people always think our Gatsby is a boy because of the book! But it's cute on her anyway. Plus her K never calls her that anyway - she calls her 'Gechbi'! The dog looks so happy - I am sure you do a great job with it. Thanks Helen! :) She really is very pretty, isn't she? She certainly gets a lot of compliments, from old and young alike!